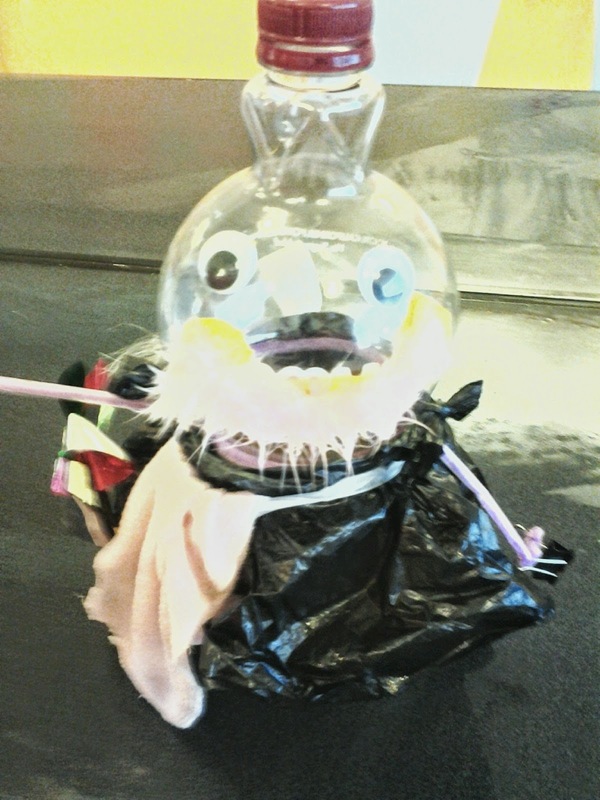 You know when you're having kind of a rough day and then some of the library kids come in and show you a freaking ROBOT that they made just for the library and then your day seems much, much better? I introduce to you the "Maid/Cleaner 3000." This was created by two tween library users (girls, I might add) with an interest in science and technology. 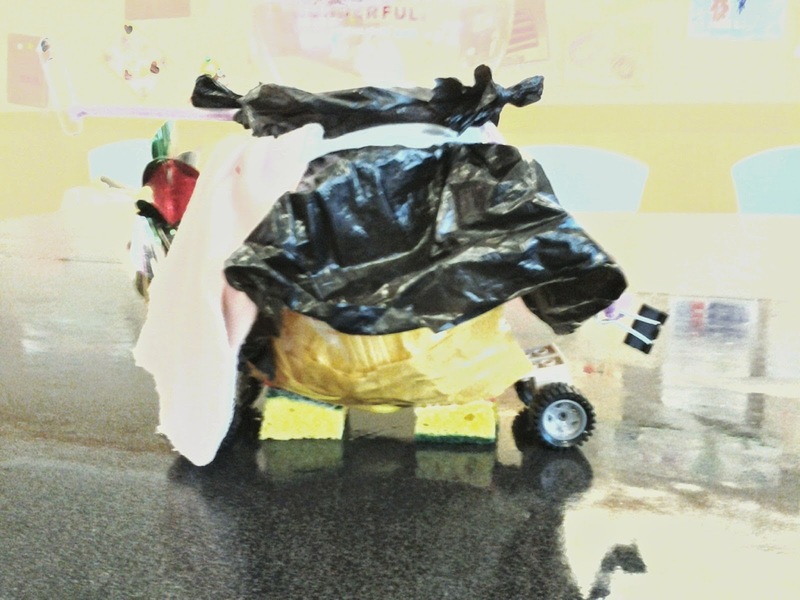 One of our suggested activities for the Summer Reading challenge is to make a robot, and these kids sure delivered. There are its sponge feet. And it was made with 100% recycled materials, so it's good for the planet (or so I was told). I asked the girls what made them think of this design, and they said they had so many cleaning chores over the summer, it would be good to have some help. Thank you for making the day a bit brighter and cleaner, girls. I love it! She would make my day too.